The Flagler Beach library offers a weekly story time and craft program every Thursday at 11am for kids. Occasionally they will have “Storytime with a Ranger” where a local park ranger will read books and discuss local animals and wildlife. 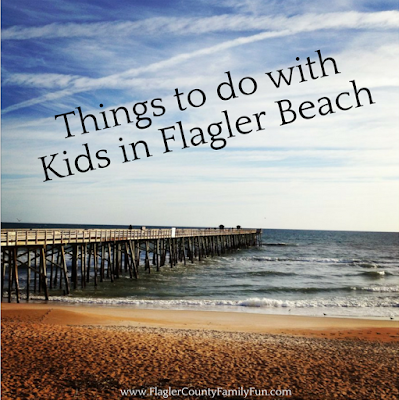 There are three playgrounds in Flagler Beach for kids to enjoy. If you have kids that love to skateboard then this is the place to be. The park is open from dawn to 10pm year round. All skaters must register at Flagler Beach City Hall before using the facility. Miles of beach as well as the Flagler Beach Pier is a haven for those who love to fish. The Flagler Sportfishing Club offers a FREE fishing clinic for kids annually. Every Friday and Saturday at Veterans Park is the Flagler Beach Farmers Market. This is sure to stimulate the senses of kids and provide an educational experience. My kids love to sample the fresh fruits and jams. They are drawn to the different shapes and colors of the fruits and vegetables. Lastly we can’t leave without getting a small bag of Jelly Belly’s. Gamble Rogers State Park offers several activities for kids. They offer nature programs, discovery hikes, Jr. Ranger programs, paddle boarding lessons and a monthly gamble jam. 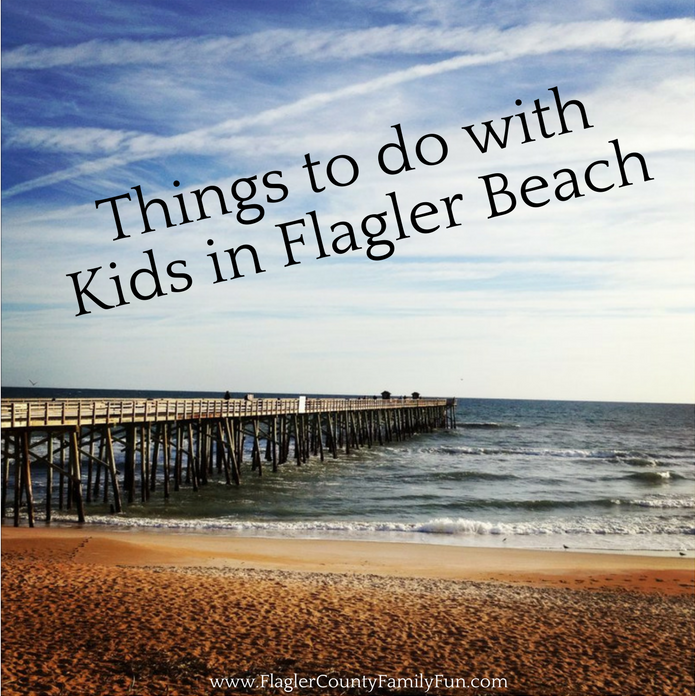 Flagler Beach features several parks and preserves. Our favorite preserve in Flagler Beach is the Betty Steflik Preserve. This is a great nature trail! Flagler Beach First Fridays is the first Friday of every month at Veterans Park. This family friendly event features live music, monthly themes, food and more. Down to Earth Pottery is a great place to take the kids to create their own piece of art. They offer weekly classes and birthday parties. The beach is endless fun and exploration for kids. There are several surf shops in Flagler Beach that offer surfing lessons for kids. Go to FlaglerSurf.com to check out their Flagler Beach webcam. Marineland isn’t technically considered Flagler Beach but it is a nearby attraction that offers dolphin encounter programs and summer camps.